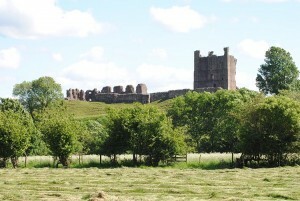 From Mallerstang to Carlisle the Eden Valley is richly supplied with castles and other fortified houses. Some of these medieval fortresses been in ruins since the 17th century Civil War or even earlier, whilst others are still occupied. There’s a lot of castle visiting to be done around the River Eden. 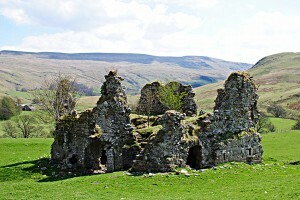 Kirkby Stephen is not quite visible towards the top left, but in the centre is the ruined Lammerside Castle about which I wrote a while ago.